Phulkas or Rotis are the healthier options for wheat based staple like chapathis or Parathas. They are light and easily digestible and easy to make! It sure needs some practice before we start getting perfect phulkas..so keep trying and am sure you’ll get the hang of it soon! · Sift the wheat flour for anything other than wheat flour!! Add a pinch of salt and incorporate well in to the flour using your hands. · Take a flat but a deep plate or vessel in which we can freely move our hands while making the dough. In a circular motion add water little by little and bring the dough to a ball like shape. Make sure the dough is not very hard or very soggy. 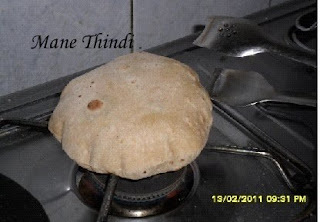 · To make soft rotis, we must kneed the dough well. Stretch it away from you and fold it back in. Make this a good no. of times and once its soft n stretchy, oil your hands run it on the dough before closing it with a proper lid. This wont let the dough dry and become scaly. · Rest the dough for 15-30mins. Longer the rest, softer the rotis! 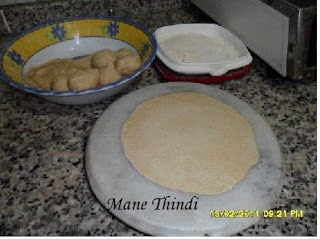 · When ready to make phulkas, kneed the dough one quick time and make smaller balls of equal proportion and roll it with a rolling pin equally on all sides. Keep a pair of tongs handy when doing this as we need to quickly toss on both sides of the roti else it will burn! · When the brown spots appear on both sides, it means the phulkas are ready. To keep the phulkas soft, store it in a bamboo box which has pores to let the steam off but at the same time keeping it warm n soft. 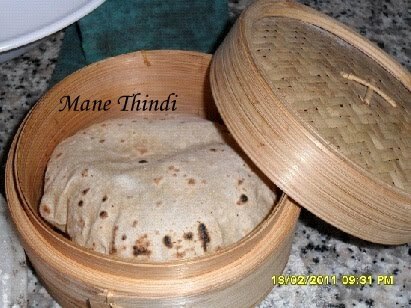 Another option would be to use muslin cloth [panche batte in kannada] in a hot case and stack rotis in the cloth so that the steam collected inside the box gets absorbed and wont make the rotis soggy. · Please note. If we follow all the steps and don’t do the last one ie, to store the rotis correctly, it can end up being hard and difficult to eat. Optional: You can smear little ghee once the roti is in the hotcase. 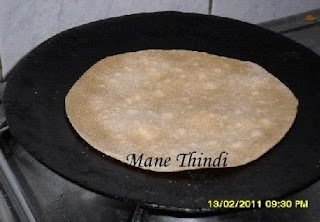 · Rotis are best when served straight from the tava/fry pan! Enjoy it with any kind of veggies /curries/gravies or curds and pickle or Just plain rotis and sugar ! If you have vegetable stock or any other form of nutritious water left out from veggies or cottage cheese, we can utilise that water instead of normal water for soft n tasty rotis. I am Maggie's friend. Dishes you have posted in this blog are very nice & helpful.